The dispute between the app-based ride sharing service Uber and local taxi drivers may soon be over. Following a meeting with Uber representatives, Prime Minister Andrej Babiš announced that Uber had agreed to operate under conditions that would put it on an equal footing with taxi drivers. 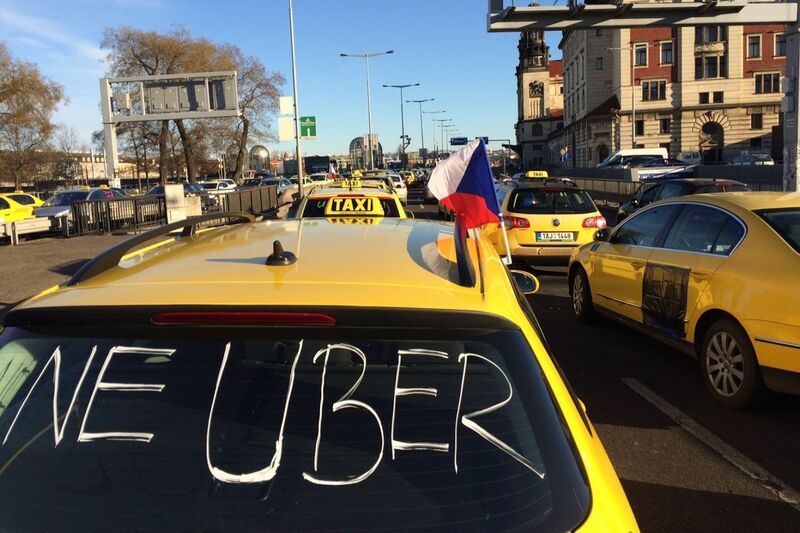 Photo: Ľubomír Smatana The war between Uber and Czech taxi drivers has been raging for months now. 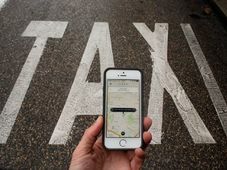 Taxi drivers consider Uber unfair competition, pointing out that its drivers don’t have to meet any norms, pass any tests and their earnings are unregistered and untaxed in this country. 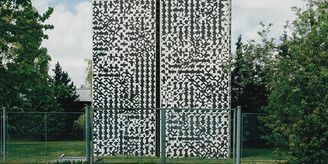 Neither do they have to respect the maximum price per kilometer set by Prague City Hall, with their price fluctuating during the day and offering overall cheaper services. Taxi-drivers’ protests in Prague and Brno have repeatedly brought traffic in the two cities close to a stand-still. 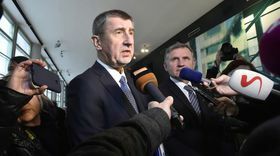 At the end of February the prime minister put his foot down, telling the company to respect the law or consider terminating its services in the Czech Republic. Now he has reported a breakthrough. 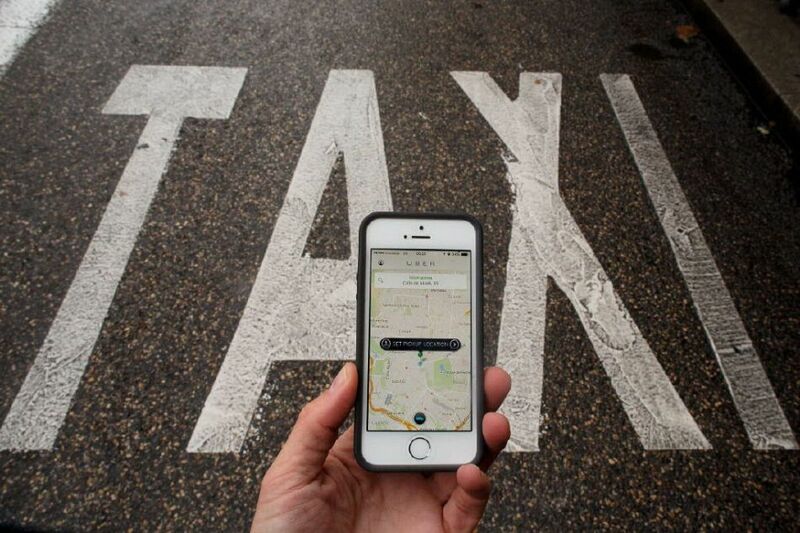 Following talks with Uber representatives the prime minister said the company had agreed to respect conditions which would put it on an equal footing with taxi drivers, by operating a licensed service, with drivers registering and taxing their earnings in the Czech Republic. A memorandum of understanding should be signed by the end of the month and by the end of April the company should conclude an agreement on revenue reporting with the Financial Administration. The company has also pledged to join the electronic evidence of sales system introduced last year. Prague Mayor Adriana Krnáčová who has been under fire from Prague taxi drivers for months, has promised to aid the process by increasing the capacity of testing rooms so as to enable Uber drivers to get a license as soon as possible. Uber has pledged not to take on any more unlicensed drivers, but would like its present drivers to be able to remain in operation in the period until they get a license. Czech Transport Minister Dan Tok says he finds that unacceptable. 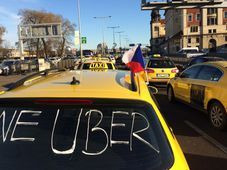 Photo: portal gda, CC BY-SA 2.0 Meanwhile, the Association of Czech Taxi Drivers has taken a reserved stand to the breakthrough, saying it would monitor developments and expressing a measure of skepticism as to whether Uber would comply with the rules. It also points out that no deal had been reached with the company Taxify, which provides similar services. Although no immediate protests are in the pipeline the association is clearly ready to return to them should Uber fail to deliver on its promises. 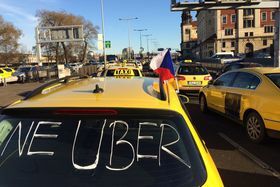 The number of active Uber drivers in the Czech Republic is estimated at around 2,000 and the service is used by some 300,000 clients.